Indoor air pollution is simply the gradual degradation of indoor air quality by toxic material and chemicals. In India, more than 1.3 million people die each year as a result of indoor pollution. In line with the 2001 census in India, more than 70% of the household in India use traditional solid fuel. Burning these fuel lead to the release of a highly toxic pollutant that affects the lungs adversely, leading to respiratory and cardiovascular disease. Recent reports have shown that indoor air pollution is deadlier than outdoor air pollution. Indoor air pollution is the 2nd deadliest killer after high-blood pressure in India. 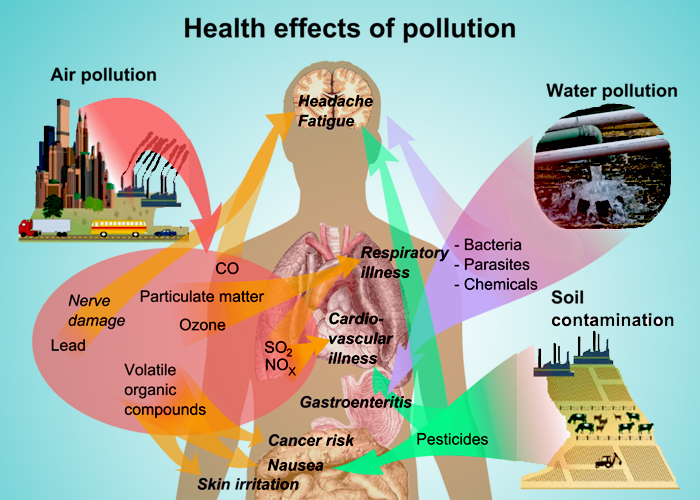 The major sources of air pollution are as follows: Building material, pesticides, heavy metals, combustion, smoke from tobacco and many more. The source of indoor air pollution in India is basically from fuel used in cooking, such as firewood, cow dung cake, kerosene, biogas, electricity, liquefied petroleum gas, coal and the list goes on. For starter, indoor air pollution causes more than 2.5 million premature deaths each year. The major group affected by indoor air pollution are young children and women, this is because they spend the majority of their time at home. Other conditions that are associated with indoor pollution are- respiratory tract infection, low birth weight, stillbirth, leukaemia, cancer of the nasopharynx, and larynx. Some studies from a reputable institution in (Guatemala) has shown that prolonged exposure to wood smoke from the stove can lead to a decrease in the systolic blood pressure by more than 3.8mmHg and the diastolic blood pressure by more than 3.01 mmHg. In India, reports from a number of institutes have shown that the use of solid fuel in a home increase the risk of child death especially within the age of 1-4 years of age and more girls die from exposure to solid fuel because the prevalence ration of boys is lower than of girls. Countless evidence has shown that indoor air pollution is a real killer and therefore creates a need for urgent intervention. Awareness: This is one of the most effective ways of prevention indoor air pollution. Awareness should be created about the dangerous effect indoor air pollution poses on human health. This education will help people find ways to reduce their exposure to smoke and fumes from the kitchen; it will also help parent better protect their children from the toxic effect of solid fuel. Change in the use of fuel: Cheap source of fuel is what poor families use, but these sources pose a danger to their health. So, cleaner and safer sources of energy should be available for use by poor families. A good example can be the use of cow dung to generate methane gas for cooking. Ventilation: Ventilation should be given attention to especially when buildings are being constructed. Poor ventilation further increases the effects of indoor air pollution. Windows should be created above cooking area so that smoke can leave home easily and the use of air purifies should be promoted. Air Purifier: Air purifiers are great devices that help to reduce the toxic materials from the air and keep the indoor air fresh and healthy. Indoor pollution is a major problem in India and other countries, but effective interventions, ranging from creating awareness, change in the use of fuel and giving attention to proper ventilation are effective ways to reduce indoor pollution.